1463 is one of a lot of thirty-four open second coaches built introduced in late 1958, numbered in the series 1449-1482. They used a 10'2" body design, based around timbers laminated to form pillars, giving a rather curved appearance and leading to the coaches being known as 'laminates'. This design was introduced in an earlier batch of second opens built in 1956; however, 1463's batch differed internally, featuring 2+2 seating versus 3+2, giving them a total capacity of 64. A toilet was located at each end of the carriage. The first of these entered service on 4th October 1964. 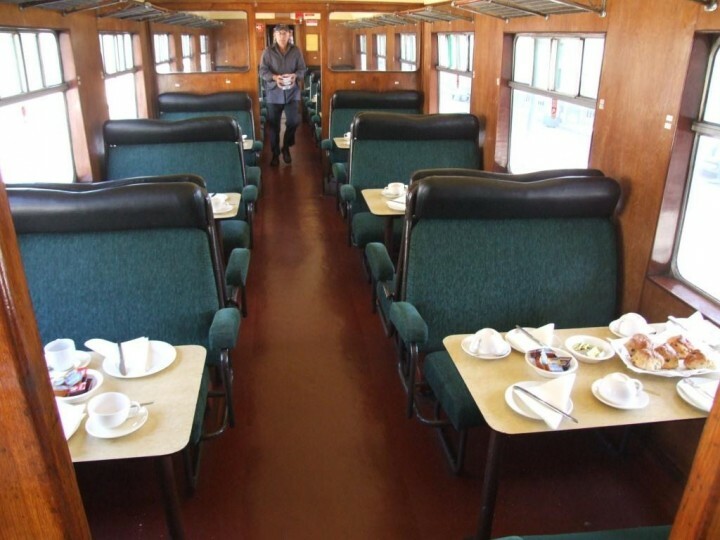 First introduced in CIÉ's late 1950s green livery with the famous 'flying snail' livery, these coaches quickly became part and parcel of CIÉ's mainline fleet over the following decades, often being mixed in indiscriminately with other rolling stock such as Park Royals and Cravens. In the 1960s they were repainted into CIÉ's ubiquitous black and orange livery. As diesel traction took over, they became one of the last designs to work with both steam and diesel traction in everyday service. The introduction of BREL designed Mk2d stock in 1972 would have seen them gradually bumped down to secondary duties, and by the time of the introduction of the Mk3 fleet in the 1980s they would have been reduced to secondary mainline duties such as those to Rosslare and Sligo along with the cross country branchlines. 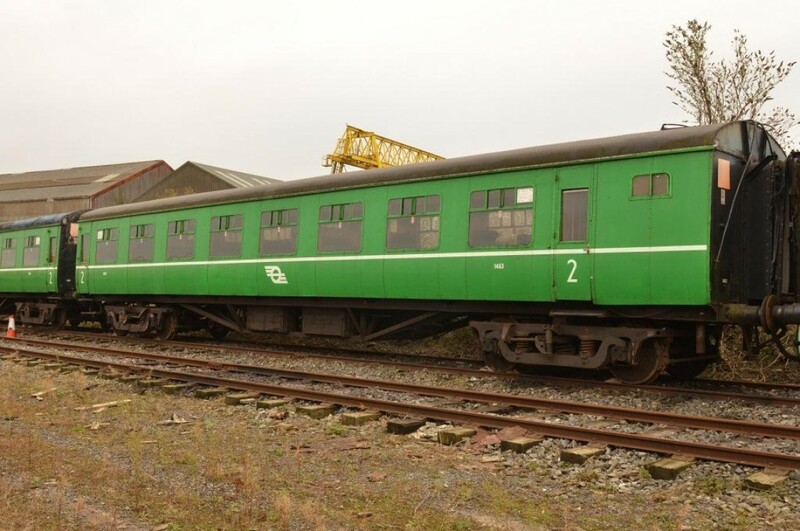 The type was gradually phased out during the mid to late 1980s, with 1463 being acquired, along with a number of other 1950s built CIÉ carriages, for preservation by the RPSI in 1985. She went on to become part of the RPSI's fledgling Mullingar/Dublin operations, and is sadly (along with 1916) one of the few early Dublin based carriages to have survived. 1463 was extensively restored by our Mullingar team in the mid-1990s, returning to the operational set in 1998. 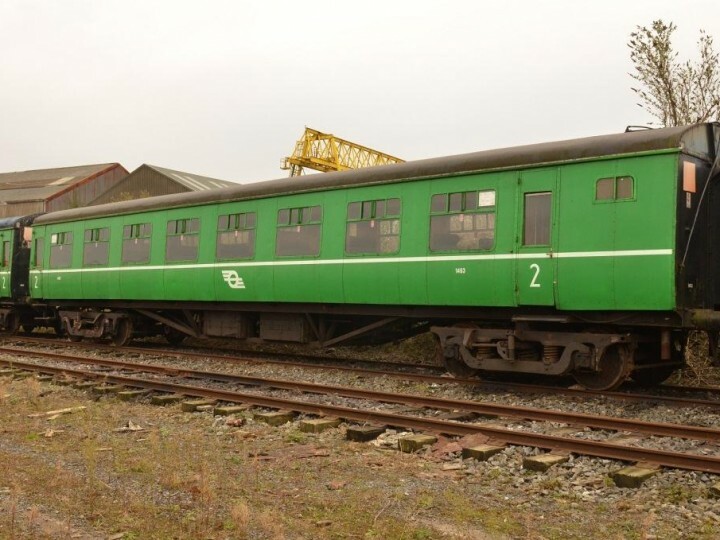 It briefly operated in the maroon/brown livery (in connection with a number of filming roles) but returned to authentic CIÉ green in the mid-2000s. 1463 would go on to give a further twelve years of service before the Heritage set was sidelined after the 2010 season, with the Society's stretched manpower being needed to maintain the Cravens set. Now the only laminate open in near operational condition, 1463 is one of many important survivors in the Society's Heritage fleet and it is hoped that some day she may grace the rails again. Interestingly she will soon have spent longer in RPSI ownership than in that of CIÉ!